Join us this fall for a restoration project along the beautiful north shore of Lake Superior! 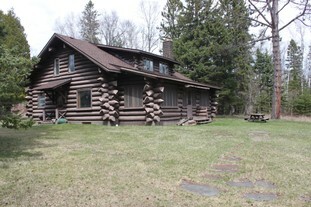 PIT volunteers will team up with Superior National Forest staff and young adults from the Northern Bedrock Historic Preservation Corps (NBHPC) as we take on the task of maintenance and rehabilitation of six, National Register of Historic Places (NRHP)-eligible, log buildings within the Tofte Ranger Station complex. The Forest will provide tools, personal protective equipment, camping sites or lodging in CCC buildings on-site, and access to kitchen facilities and showers. Minnesota's North Shore is a regional tourist destination, which stretches along Lake Superior's coastline from Duluth to the Canadian border, and boasts close proximity to beautiful waterfalls, biking trails, State Parks, and the 250-mile 'Superior Hiking Trail.' The local area also offers the opportunity to sample local cuisine, and to explore museums, resorts, and shops. So, come for the sweaty, dirty fun; stay for the scenery and ample opportunities for adventure and relaxation during those hours "off the clock!"